In discussing Conditional Immortality among Conservative Protestants I am often told, “That’s not the traditional view of hell, it’s the traditional view of the church!” I believe Scripture alone binds my conscience, but I also believe that those who say this often misunderstand what the “tradition” of the church is and would be surprised to find that the view they support is generally not that held by the majority in the early church. Part One of this article focused on the Intermediate State. Part Two focuses on Eternal Destinies. In the early Christian writing known as the “Epistle of Barnabas” (AD 70-120) there is not a word as to eternal conscious torment. So too, the work known as “The Teaching of the Twelve Apostles” (AD 120-160) and the two epistles of Clement are silent as to this doctrine. At the same time the language used by these and other less important works is consistent with a Conditionalist view of Hell. Justin Martyr is explicitly Conditionalist when he says: “Now the soul partakes of life, since God wills it to live. Thus, then, it will not even partake [of life] when God does not will it to live. For to live is not its attribute, as it is God’s … whenever the soul must cease to exist, the spirit of life is removed from it, and there is no more soul, but it goes back to the place from whence it was taken.” (“Dialogue”, Chapter 6). Irenaeus (AD 180) held an explicitly Conditionalist view. He says: “[I]t is the Father of all who imparts continuance forever and ever on those who are saved. For life does not arise from us, nor from our own nature; but it is bestowed according to the grace of God. And therefore he who shall preserve the life bestowed upon him, and give thanks to Him who imparted it, shall receive also length of days for ever and ever. But he who shall reject it, and prove himself ungrateful to his Maker, inasmuch as he has been created, and has not recognised Him who bestowed [the gift upon him], deprives himself of [the privilege of] continuance forever and ever. And, for this reason, the Lord declared to those who showed themselves ungrateful towards Him: “If ye have not been faithful in that which is little, who will give you that which is great?” indicating that those who, in this brief temporal life, have shown themselves ungrateful to Him who bestowed it, shall justly not receive from Him length of days for ever and ever.” (Irenaeus, “Against Heresies”, Book 2, Chapter 34.3). Many of the early fathers were in fact card carrying Universalists (So says J.W. Hanson in “Universalism: The Prevailing Doctrine Of the Christian Church During Its First Five-Hundred Years” from which much of what follows is drawn). The widespread belief that Christ, between his death and resurrection, descended to Hades and there preached the Gospel to the dead (See Issue 33 for the contra view), and the practice of prayers for the dead, may indicate that, at a popular level, many in the early church believed that one’s eternal destiny was NOT fixed at death. Clement of Alexandria explicitly declared that all punishment, however severe, was intended to purify the sinner. His pupil, Origen, perhaps the most famous and influential Universalist in the early church, taught that even Gehenna signified limited and curative punishment. Origen was later condemned for various heresies (including his belief in the preexistence of souls) but he was never officially condemned for his Universalism. The council that condemned “Origenism” at the same time eulogized Gregory of Nyssa, who was himself an outspoken Universalist and a most conspicuous figure in Christendom at the time. As late as A.D. 400, both Jerome and Augustine acknowledged that there were very many believers in Universalism within the Church. However, no writer among those who describe the heresies prevalent throughout the first three hundred years of Christendom ever intimates that Universalism was considered a heresy, though it was believedby so many even among the fathers. Nor did any creed condemn the doctrine in favour of eternal conscious torment. The half-pagan emperor Justinian attempted to have Universalism condemned. He closed the theological schools, and demanded the condemnation of Universalism by law. But the doctrine was so prevalent in the church that the council refused to obey his edict to suppress it. My point is not to defend the doctrine of Universal Salvation (which I do not believe is supported by Scripture). My point is merely to suggest that an honest appraisal of church history will reveal that both Conditionalism and Universalism can at least lay an equal claim to being part of “original primitive Christianity” as can the so-called “traditional view” of eternal conscious torment. 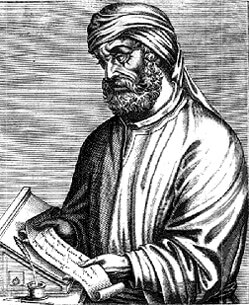 One of the first clear advocates of eternal conscious torment was Tertullian (AD 197). He speaks of a time when “there will be neither death again nor resurrection again, but we shall be always the same as we are now, without changing. The worshippers of God shall always be with God, clothed in the proper substance of eternity. But the godless and those who have not turned wholly to God will be punished in fire equally unending, and they shall have from the very nature of this fire, divine as it were, a supply of incorruptibility” (Apology, 44:12-13). So too, Hippolytus (AD 212) speaks thus: “The unquenchable and unending fire awaits these latter [lovers of evil], and a certain fiery worm which does not die and which does not waste the body but continually bursts forth from the body with unceasing pain. No sleep will give them rest; no night will soothe them; no death will deliver them from punishment; no appeal of interceding friends will profit them” (Against the Greeks 3). There was a hard edge to the theology of the Latins (in the West) not found among the Greeks (in the East). No historian disputes that eternal conscious torment was increasingly favoured in the West until Augustine. Since then it has predominated. Nevertheless, it is intriguing to note the variety of opinion that existed among early Christian interpreters and that, especially among those born to the language of the New Testament (the Greeks), there was no attempt to impose upon believers the awful doctrine of eternal conscious torment. Scripture alone binds my conscience, but I believe history shows us that belief in eternal conscious torment was not as “universal” in the early church as is sometimes supposed. When we consider the horrible nature of the doctrine, how it reflects badly upon our loving God and the Lord Jesus Christ, given that it is founded on exegetically “thin ice” shouldn’t we be quick to abandon this doctrine? This article first appeared in From Death to Life, Issue 34 (June 2007), pages 24-27.